A ruling in Australia has decided that companies who advertise using Facebook pages may have to “pre-moderate” comments made by users, so that they don’t contravene advertising laws. The landmark ruling only applies to Australian companies at the moment, but it’s sure to spread to the rest of the world, given enough time, and could seriously affect the way businesses use the social media site to advertise their products or services. It seems that if a fan comment is left on a post put up by the company turns out to be defamatory to other businesses in the same industry, then the page could face prosecution. Similarly, racist, sexist or untrue comments relating to a product could also land a company in hot water. According to the Huffington Post, “the UK Advertising Standards Authority’s current guidelines, user-generated content like comments is only regarded as a marketing material under certain conditions”. However, these include a site owner soliciting “the submission of UCG from private individuals” which they then use as part of a marketing campaign or communication. This is yet another thing which is bound to affect freefalling Facebook shares, which have seen another drop in price this week. The Zeus botnet continues to wreak havoc in the world of IT and has now turned its efforts to the mobile platform. Security experts as Kaspersky Labs recently discovered five new variants of what they call “Zeus-in-the-mobile” or “ZitMo” targeting the Android platform and Blackberry devices. The malware comes packaged with apps, which usually look legitimate and are capable of intercepting SMS messages and then sending them on to the attackers Command & Control servers. This allows it to get hold of banking information, in many cases, which of course lets the malware author access a bank account and potentially empty it of all funds, change passcodes, telephone numbers and more. Whilst Kaspersky have found that the malware targets users in Spain, Germany, Italy and Sweden, UK users should be on their guard too. “There is no surprise that ZitMo for Android poses (sic) itself as an app with ‘Zertificat’ (com.security.service) name. Various ZeuS-in-the-Mobile versions pretended to be ‘certificate update’ or ‘security’ apps,” Kaspersky Lab expert Denis explained. Once the app is installed, so is the malicious app containing the Zeus malware kit, as illustrated below. Once the malware app is launched a pop-up appears, usually in German, which when the user presses OK, allows the malware to work in the background. Malicious apps for the Android platform has been growing at a tremendous rate for some time now, mostly due to the open nature of the Android platform, which doesn’t have such a rigorous testing process as the Apple mobile platform does. Popular image-pinning site Pinterest has finally dropped its invitation only status to allow everyone access to the site. Users can now sign up to the site using their social media accounts (Facebook or Twitter), or using an email address. 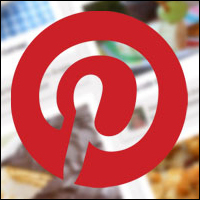 “We’re really excited to have the capacity to offer Pinterest to more people. If you’re a Pinner with friends who’ve been waiting on the sidelines, we hope you’ll let them know. Happy pinning to everyone!” Pinterest said on its official blog. The site has seen a huge amount of growth since launch and whilst it was originally just used by women planning weddings and suchlike, it’s now seen as another addition to social marketing and is used by small and large companies alike, as well as image enthusiasts and those who just like to look at pretty pictures. However, that isn’t all that Pinterest has announced this week; the pinning site has also announced the launch of Pinterest for Android, iPad and iPhone, so fans won’t have to be stuck at the computer in order to happily carry out their pinning activities. Will the real Mitt Romney please stand up? Well the Olympics are now behind us and there’s not one Brit that can’t say the organisers didn’t do us proud, and that’s even before you get to the outstanding performances of our athletes. The most successful Games in our history filled many of us with pride and the opening and closing ceremonies have been praised across the world for being the best ever. This somewhat disproves American Republican candidate Mitt Romney’s theory that a country the size of the UK couldn’t pull off such a huge event as we weren’t ready for it. Bearing this in mind, the following spoof video asking the ‘real Mitt Romney’ to ‘please stand up’ gave us a bit of a giggle and we hope it will you too. To hear more about our social media marketing services click here.